Misconception: If you are involved in a car accident the first thing you should get your car out of the roadway. Actually: If you are involved in a car collision the first thing you should do is get to a safe place. Should you stay in your car? I hate one-size-fits-all to this. It depends on the situation. Sometimes, this means staying in your vehicle while you call 911 and wait for EMS technicians or police to arrive on the scene. Sometimes it means getting out of your car as fast as you can so you do not get killed. When the police come, speak with them and tell them exactly what happened. Tell officers or EMS technicians if you have suffered an injury in the accident. If you do not feel any injury, remember that most non-serious injuries, like swelling, inflammation, and soreness may take a few hours or days before they become manifest. A good rule of thumb is that if your car sustained damage you should go to the hospital or local urgent care facility and get checked out. 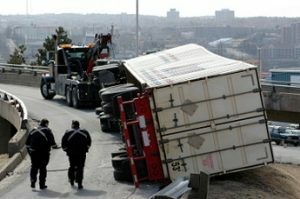 Also, it is essential that before you move your vehicle from the scene of an accident you document the position of the vehicles following a crash. If you cannot safely do this or you suffered injuries in the accident ask the police to take photos of the scene as part of their investigation. Misconception: The at-fault driver’s insurance will pay a fair price for damages and injuries you have suffered. Actually: If you have been injured in a car collision you should speak with a personal injury lawyer as soon as you have spoken to police and taken care of your immediate concerns. Remember that the initial consultation is free and you will not be charged for any legal services unless you receive a settlement or judgment. It is important to remember that insurance companies’ highest priority is to make profits for their shareholders, not to make sure you are made whole for the injuries you may have suffered as the result of a car collision. Do not talk to the other driver’s insurance company and never give a recorded statement regarding the incident to an insurance adjuster without first speaking with a lawyer. Be careful with adjusters. Sometimes, they are real nice. They might actually be really nice. But these sometimes nice people have a job to do and that is to make sure you get as little money as possible. Misconception: If the other driver does not have insurance you have no recourse. Actually: If you are involved in an accident with an uninsured motorist you can seek compensation from your own insurance company as part of your uninsured or underinsured motorist (UM or UIM) coverage. Filing a claim with your UM coverage will not affect your future rates. This is mindblowing to some people. I’m bringing a claim against my own insurance company even though it was done nothing wrong? YES! Every payment you make to your insurance company includes money for your insurance company to step up when this exact situation occurs. Misconception: I need to have a copy of the police report before I contact an attorney. Actually: You do not need to have a copy of the police report before contacting an attorney about your case. Your attorney will need a copy of the police report, but he or she will get it for you. A police report will help your attorney to accurately assess what happened, discover who was at fault and provide him or her with information regarding the other driver’s insurance company. The report may also include the names, addresses and phone numbers for witnesses of the incident. Misconception: I am responsible for paying for a rental car. Actually: A rental car while you are is being repaired or you are waiting for a check for your total loss should be paid by the at-fault driver’s insurance company. If you go through your own insurance company, that is fine but you should eventually be reimbursed for any deductible that you paid from your own insurance company (who will get paid back for the rental coverage by the at-fault driver’s insurer. Misconception: If you do not feel pain immediately following the accident you do not need to see a doctor. Actually: Often the victims of a car collision do not recognize or feel injuries sustained in an accident for days or weeks after the crash. Whether or not you feel anything following an accident it is best to get checked out by a doctor. If you are 100% sure you are not hurt, you are probably okay. But if in doubt, better safe than sorry particularly if you have any neurological complaints of any kind. If you start to feel pain or swelling in the days or weeks following an accident it is imperative that you see a doctor as soon as possible. Make sure that when you visit a doctor, you mention all of your complaints, no matter how minor. Misconception: I will be responsible for my medical bills until there is a settlement with the insurance company. Actually: In Maryland, most drivers’ car insurance policies include Personal Injury Protection, otherwise known as PIP, which covers specific amounts of medical bills regardless of who is at fault. Your insurance company will take care of medical bills initially until a settlement is reached. It is the at-fault driver’s insurance company’s responsibility to pay for all medical bills and treatments such as physical therapy. During the initial consultation, the attorney will ask you the names of both your car insurance and health insurance companies. Misconception: I will have to use my sick time or vacation time if I miss work as the result of an injury sustained in a car collision. Actually: You may have to use your sick time but you will get compensated for it when you bring your claim if the missed work is found to be related to the crash. So you essentially get paid twice for the same work, once by your employer and a second time by the insurance company (You may even get paid a third time if you claim lost wages on your PIP claim. So if the other driver is at fault you will be able to get reimbursed for lost wages which is defined as lost time from work. If your injuries are severe, you may also be entitled to future lost wages or loss of wage-earning capacity. The key to collecting for lost wages is documentation so make sure that you contact your employer to get copies of timesheet reports, pay stubs or other documentation that you have lost wages as a result of the car accident. Misconception: If I was the passenger in a vehicle where the driver was at fault for an accident you cannot file a claim against his or her insurance. Actually: If you were a passenger in a vehicle that was involved in a motor vehicle accident, even if the driver was at fault, you can file a personal injury claim against the driver’s insurance company. Of course, if the accident was the other driver’s fault, you can make a claim against that driver’s insurance. Sometimes, the facts are such where you make a claim against both drivers and the judge or jury figure out who is responsible. 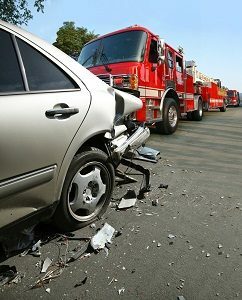 If you are a passenger involved in a car collision, you automatically have a claim against someone, so if you were a passenger injured in a car crash, you should always seek a lawyer. Misconception: There is no statute of limitations for motor vehicle crashes. Actually: The statute of limitations for a car collision cases is three years from the date of the incident, but it is essential to begin the process as soon as possible. We turn down cases all of the time because they come to us too close to or after the statute of limitations. So, if you were in a vehicle involved in a car accident and you suffered an injury, it is essential to contact an attorney as soon as possible. Our lawyers have been fighting for victims in accident cases in the Baltimore-Washington, D.C. area for over 100 combined years. We know how to put these claims together, work with police, the witnesses, and the medical experts in order to put these cases in a position to win. Getting a Lawyer to Fight for You! You need an experienced Maryland accident lawyer on your side. Call 800-553-8082 or get a free online case review.